There are a number of different betting option available to greyhound punters and those visiting the track for the first time may find things a little daunting. Below we detail the different types of greyhound racing bets and tell you exactly how they work. Win Bet – This is as straight forward as it sounds. Simply select a greyhound to finish first, go to the tote window or track bookmaker and tell them which trap from 1 to 6 or the name of the greyhound you would like to wager on. The usual minimum stake for this bet is £1. Place Bet – A place bet involves selecting a greyhound to finish first or second. It’s the same process as before but you just ask for a place bet rather than a win bet. This bet doesn’t tend to be a huge payer but can appeal to the more cautious greyhound punter and is also a good bet when there is a very short priced favourite that is likely to win but not a sporting price. The usual minimum stake is again £1. Reverse Forecast – As you may have guessed, the reverse forecast is just a variation on the straight forecast bet. The difference with the reverse forecast is your two selected greyhounds can finish first and second in any order. A reverse forecast counts as two bets so if plump for the minimum unit stake of 50p, your total stake would be £1. Combination Forecast – A third variation of the forecast bet. With a combination forecast, you choose three greyhounds to finish first and second in any order. This option gives you a better chance of collecting than the straight or reverse forecast bets but is more costly. A combination forecast is six bets in total so for a 50p unit stake, the bet costs £3. Trio – The trio bet offers race goers the chance to win some serious cash! The downside is it’s a very difficult bet to predict. You must select three greyhounds to finish first, second and third in the correct order – I did tell you it was difficult! The usual minimum unit stake is 50p. Combination Trio – As we have already covered the combination forecast, you may have realised what a combination trio entails. As with the trio bet, you select your three greyhounds to finish first, second and third, but this time, they can finish in any order. A combination trio make landing the trio bet a bit more realistic but it does increase the cost of the bet. 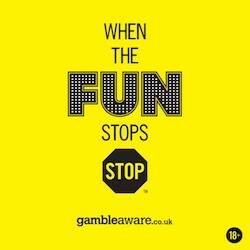 Like a combination forecast, a combination trio is six bets in total so a unit stake of 50p would cost £3. No they pay different dividends, just depends on what is bet into the Tote.